Sublime cushioning and generous fit. Low arch and slow transition through foot strike. Not as stable as advertised. The Trance 10 is a contender for lower arched runners looking for a cushy long run shoe. Runners who like more arch in their shoes should try before they buy. 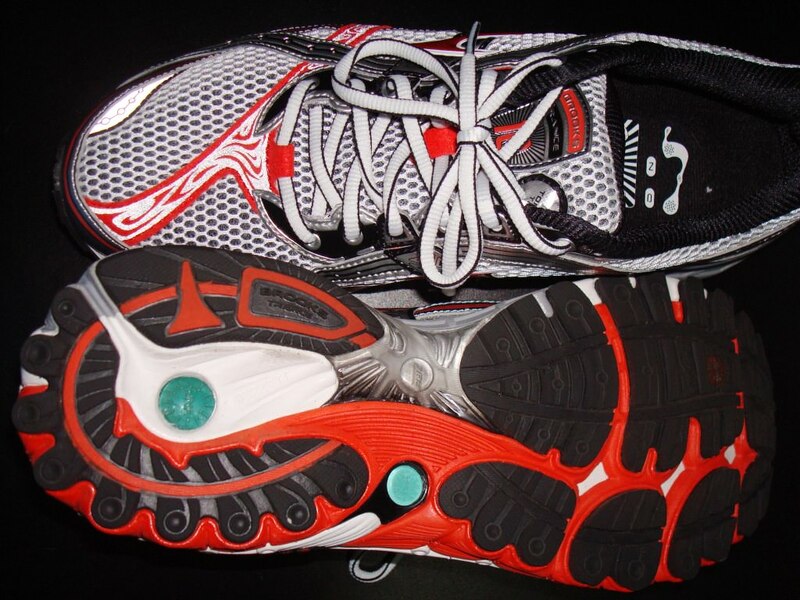 Moderate over pronators, runners with flat feet and heavier runners. The Trance definitely has the busiest upper I’ve ever seen in a shoe. Many of the overlays span the entire length of the shoe in effort to better center the foot over the midsole. The lower toebox overlay even circles the entire shoe where the upper meets the midsole. As in the Adrenaline 11, Brooks has included three new technologies to improve the fit and function of the Trance 10. Four flexible lacing tabs are now included along the eyelet row to help provide a more customized fit around the arch. A new external supplement to the heel counter, called a Heel Cradle, is in place on both medial and lateral portions of the heel. Its job is to provide better centering for an improved heel fit and stability. Brooks also employs a lacing anchor called Tongue Tied on the tongue to halt any sliding of the Trance’s tongue. A cushy BioMogo sock liner finishes out the upper. Being a flagship shoe, The Trance 10 gets all the trimmings Brooks has to offer. The midsole of the Trance 10 is still built around the Brooks Progressive Diagonal Rollbar (PDRB) and its accompanying Diagonal Roll Bar Accel (DRB-Accel) shank. These are easily identified by a quick glance at the medial, or inside, portion of the shoe. The PDRB is the large section of gray foam and the DRB-Accel is the clear plastic bridge under the arch. These are placed in the Trance 10 to help correct an over pronating foot strike. Over pronation is when a runner’s foot rolls too far inside during the gait cycle and often can be seen by watching how much a runner’s arch collapses when he or she is bearing weight on the foot. These two technologies work together with the “caterpillar” lateral midsole to reduce the amount of pronation a runner experiences. This “caterpillar” design forms the entire lateral midsole into smaller sections which lay down one at a time during running resulting in a smooth transition and greater lateral release. The Trance 10 midsole is rendered in BioMogo which is Brooks’ environmentally friendly premium midsole foam. According to Brooks, BioMogo decomposes 50 times faster than convention shoe foams when it is placed in a landfill environment. Providing the cush in the Trance 10 is Brooks brand new full length DNA cushioning system. DNA has now replaced Hydroflow and is a variable density material that responds according to the amount of force placed upon it. At slower paces, DNA is soft and becomes firmer as the runner accelerates. The Trance 10 is in my favorite category: premium stability. I like a shoe that has all the technological bells and whistles with looks to match. Unfortunately, I wasn’t quite charmed by the Trance 10. The upper of the Trance has more room than its sister shoe, the Adrenaline, which is fine with me. I had no heel fit issues in the Trance as I did in the Adrenaline 11. However, the Trance magic fizzled a bit in my number one category: arch support. 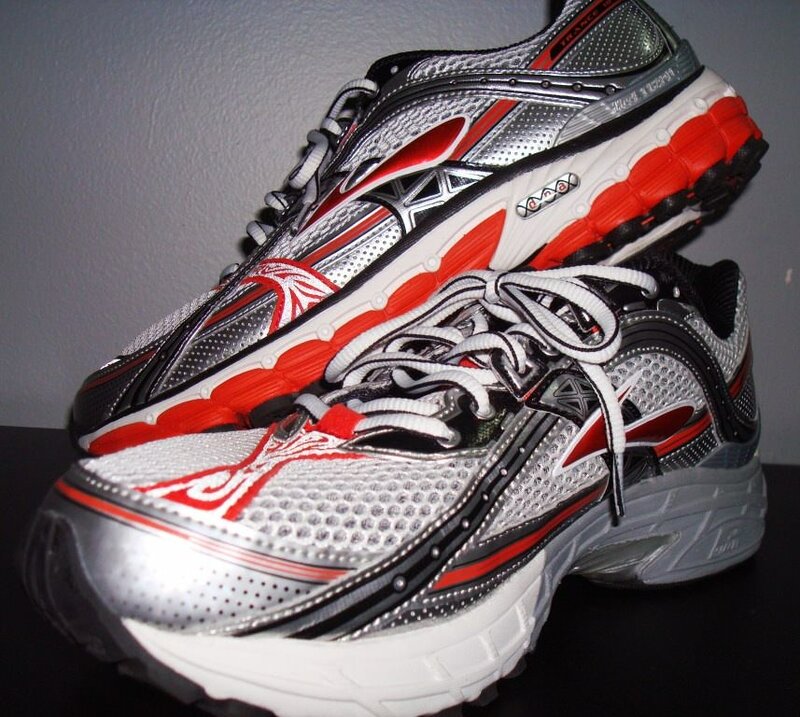 As was the case in the Adrenaline 11, Brooks places the arch too low and too far forward in the Trance for my liking. I have very flexible arches and I demand a shoe to have adequate arch support placed close to my heel. The Trance simply isn’t built this way. In fact, my wife was running behind me and noted that my feet rolled inwards more in the Trance 10 than in my other shoes. Having said that, the Trance 10 goes into cushioning overdrive and the DNA technology delivers the goods as advertised. The transition in the Trance 10 felt slower than other comparable shoes I’ve run in. I’ve never been a big believer that weight is a determining factor in shoe selection but I couldn’t help but get the feeling that the Trance 10 is best suited for someone with a larger frame. Bigger runners who like a low arched shoe could easily fall under the spell of the Brooks Trance 10. 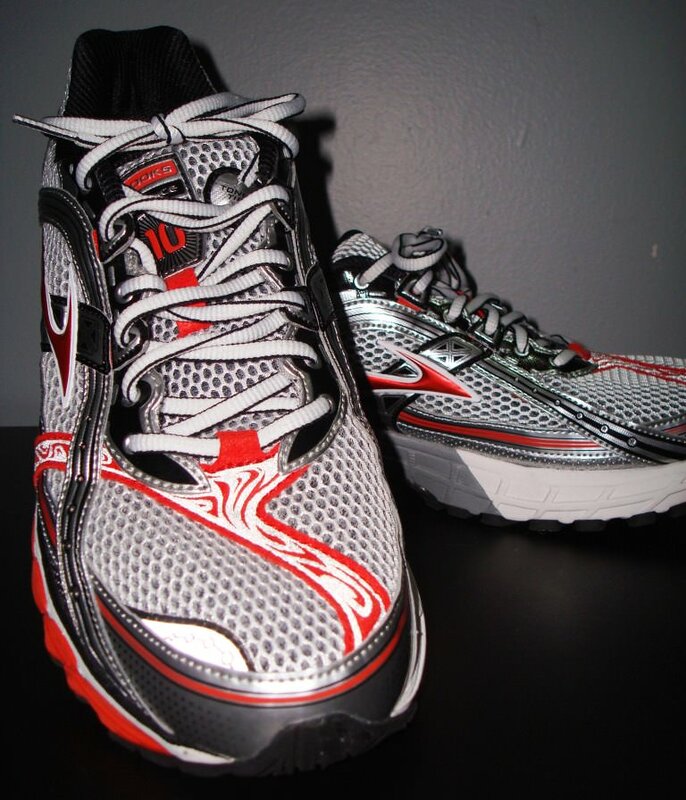 We thank the nice people at Brooks for sending us a pair of Trance 10 for testing. This did not influence our review of the shoe, written after running more than 60 miles in them. As per Ross’s comment above – can you recommend something with similar characteristics to the Trance 10, but perhaps a little lighter? I’m reasonably happy with my Trance 10s, though while running they do feel bulkier and heavier compared to other brands I’ve worn in the past (Adidas, Nike, Saucony). Sure Bill! If you really like the Trance the you may want to look at the New Balance 1260 V2. I didn’t think it had enough support but it might work better for you! Thanks for reading. Ran my first a marathon in Brooks Trance & loved them, completely injury free, ran my second Marathon in NB 1260 V2, injury free too but feet tend to ache after long runs… Just ordered a new pair of Brooks Trance…… Derek. I’ve been running Brooks Trance for about 6 years now (Trance 6, 8, and now 10). I keep going back to it because i find it so comfortable. This means, however, that I do not have any experience with any other shoes. 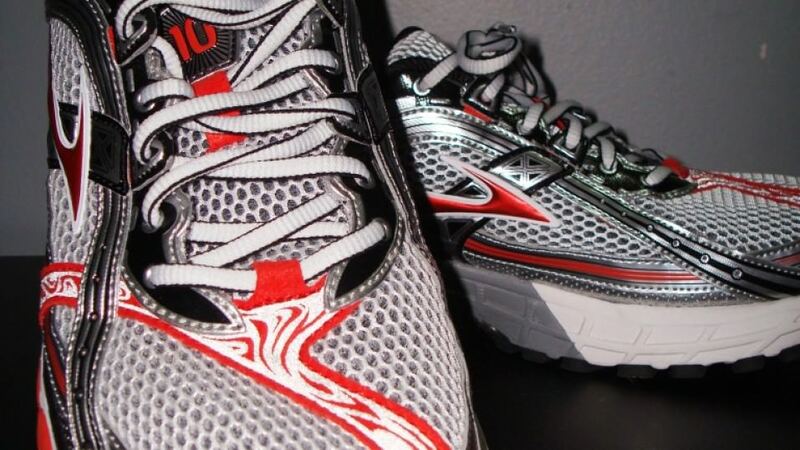 I tried the Brooks Adrenaline, but the toe box was way to narrow for me. If you consider the Trance a slow, heavy, cushion-y, plodding type of shoe, what would you suggest for me as someone who like the feel of it, but wouldn’t mind a lighter, faster ride? I’m 5’10” 175 lbs. i wouldn’t mind trying something else the next time I need to buy new running shoes. Ross, you might look at the Asics GT 2000 as it has a softer level of cushioning than the Mizuno Wave Inspire 9. Also, the Saucony Hurrican3 may be up your alley-I did not like it though as it was low on arch support. The New Balance 1260 V2 could aslo work for you. I can understand how the uneducated would think this shoe is not supporting the arch enough by having the posting (high density foam) closer the the middle of the shoe. If you knew anything about footwear you would obviously know that brands specifically target two areas of over pronation, rear AND mid foot. This shoe is a mid foot supporting shoe and you saying that the posting is not far enough back on the lateral side makes me think you actually need a more rear foot supporting shoe… Amateur hour in here, you don’t even know your foot type! I suggest going into a technical running store/podiatrist before you make any more bogus shoe reviews! Please feel free to disagree with the reviews posted here but let’s keep it civil, shall we? First, I said that the arch was too far forward not the posting. And the posting is located on the medial side not the lateral side as you mentioned. I did say I prefer a shoe to have the arch located closer to the heel, specifically under the navicular bone which in my case drops significantly during midstance. As for my being an amateur, I have a Bachelor’s degree in Exercise Science and 16 years professional experience. I assure you that I am intimately familiar with foot mechanics, anatomy and structure. As for visiting a technical running store, a long time friend of mine owns a Fleet Feet and I am regularly called upon for coaching, speaking and assistance with biomechanic evaluation. Thanks for reading our reviews, though! I have been running in the Trance 10 for several months now. I switched from the saucony stabil cs 2 because I was looking for more cushioning on long Marathon training runs with added stability. 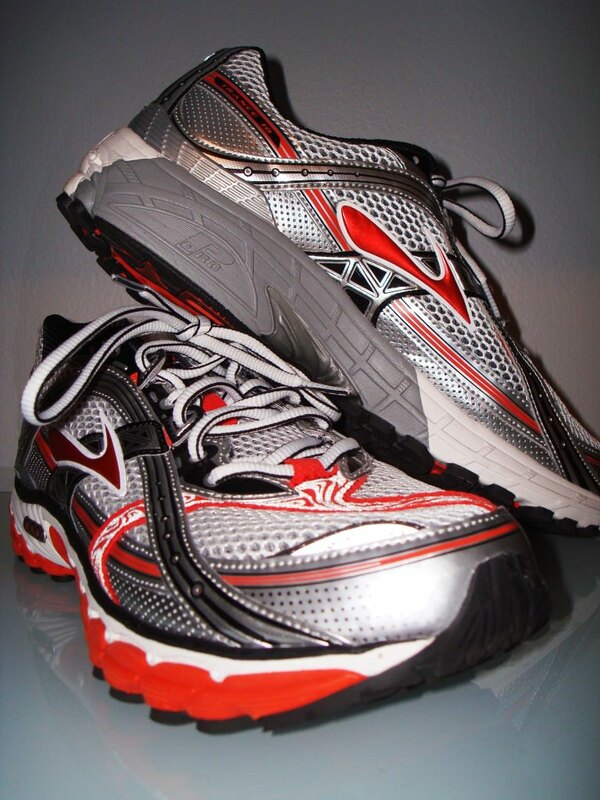 The first 100 miles were outstanding…these shoes lived up to all the hype. Then problems started. I am 160 pounds and a heel striker, well the “Caterpillar” sole is gone and I am into the actual sole of the shoe. I have seen similar complaints from costumers regarding the early wear-out period for these shoes. I also would argue that these shoes are far less stabile then advertised. Having spent 140 + on these shoes I would expect a 500 mile shoe with real stability. So, if you are a heel striker looking to log high miles then these may not be your best option.